Recently, a friend of mine suggested this wonderful app called Primer. 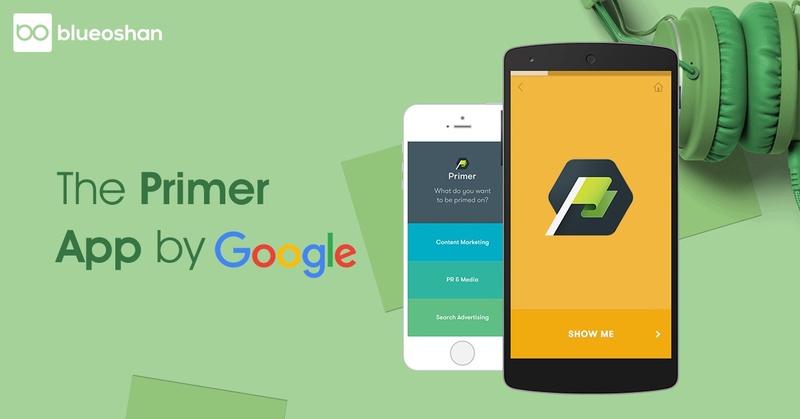 A Google product, Primer teaches you the basics of digital marketing and other topics with respect to the Google search engine using flashcards as tutorials. With beautiful animations, art and concise lessons the Primer app is the perfect guide for anyone looking into starting their own business, registering it on Google, and starting their very first digital marketing campaign. If you are looking for experts who can help you with a specific or all of your business’s digital marketing needs? Under each topic say, Business Planning there will be an X number of lessons. The primer app has a tracker that lets you track your progress with a nifty looking UI and also lets you replay lessons if you need a refresher. Each lesson is planned around an average of 5 minutes, and the flash cards are very nicely designed with a simple to read font, that is large and fun. The design of the app is user-friendly and you’ll love the interface. Within a few seconds, I was flipping through cards and learning about digital marketing. 1. Business Planning - the basics of starting a business and setting it up with Google. 2. Selling - tips, and tricks on making your first sale and improving sales. 3. Brand Building - extremely useful insights into choosing a business name, developing a brand identity and more. 4. Customer Engagement - is all about writing your business story and finding a target audience. 5. Website - tips and tricks of building a website that works with your customers. 6. Email Marketing - insights into email automation, avoiding spam filters and building email lists. 7. Social Media - social media marketing, influencer marketing and how to create engaging posts on your social media platforms. 8. Business Management - from leadership to work-life balance it's all here. 9. Digital Marketing - all you need to know on how to market your business online. 10. Content Marketing - content strategy, planning, and content delivery. 11. Analytics - all you need to know about Google analytics and useful insights into the various tools that you can use. 12. Business Insights - getting to understand your audience through user testing, research and customer insights. 13. Startup - startup tactics like growth hacking, prototyping, and crowdfunding. 14. Mobile Marketing - a huge part of Google’s most recent algorithm push was mobile marketing. What better place to learn mobile marketing on Google? 15. Video Marketing - actionable online videos, video ads and video content. 16. User Experience - learning and improving the user experience around your products, website, mobile store, apps, and more. 17. Agency Management - building a working relationship with your agency. The Primer app is a mobile-only app, and so you can pick it up on the Google Play Store, or the Apple App Store. Hopefully, a desktop or web version is rolled out later, but considering the amazing UI in the mobile versions, a desktop version isn’t even needed. The great thing about the Primer app is that it lets you learn at your own pace. It’s no surprise that the Primer app has over 65,000 downloads.